2.0.1.0.1 MOVING EYES & HEAD PLUS MOVING BROWS! The iconic Charlie McCarthy doll is the legacy of Edgar John Bergen, an American actor, radio performer and ventriloquist comedian, who died in late 70’s. Apart from the Charlie McCarthy puppet, Bergen had several other famous characters. Charlie was first introduced on the radio in 1936 in the popular Rudy Vallee’s show. This was an instant hit, prompting Bergen to further develop Charlie’s character. Over years, Charlie McCarthy doll became the performer’s alter ego. Notably, Bergen was not the most skilled ventriloquist – even the Charlie McCarthy doll scolded him for moving his lips! 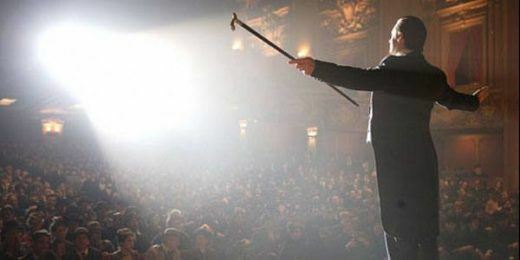 However, the superb sense of humor allowed the comedian to handle the pressure perfectly. 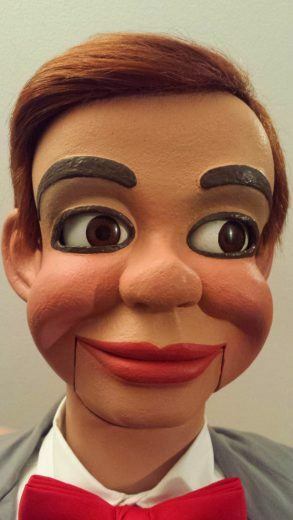 Historically, Charlie McCarthy ventriloquist dummies were manufactured by a single officially licensed company, Effanbee. These figures were came in two different sizes, which were 15″ tall and 20″ tall. Both sizes were equipped with a tiny metal monocle, attached to the doll’s head. The outfits available varied greatly, ranging from a detective costume to a full-on tuxedo. 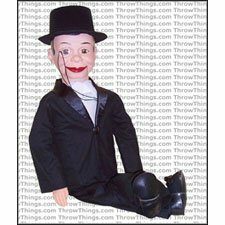 Even the tuxedo versions of the Charlie McCarthy doll were different, featuring various colors and design alterations. Today, the monopoly on Charlie McCarthy puppet is long gone. We are delighted to announce that we have the legendary puppet available for sale! If you always wanted to add a Charlie McCarthy dummy into your collection, or perhaps make it your starter character, your time has come. To determine if this particular doll is for you, it’s a good idea to learn a little bit more about the character’s traits. This is not to say, of course, that you cannot add your own punch to performances involving the Charlie McCarthy doll. In Edgar Bergen’s performances, Charlie was always presented as an incredibly precocious child. This is despite the key features all Charlie McCarthy dolls usually have – a top hat, a cape, and a monocle. Charming and girl-crazy, Charlie was always warmly welcomed by various audiences. The main advantage of Charlie being a child was always an ability to get away with cheeky double entendres, which would not be as appropriate if presented in a straightforward manner. 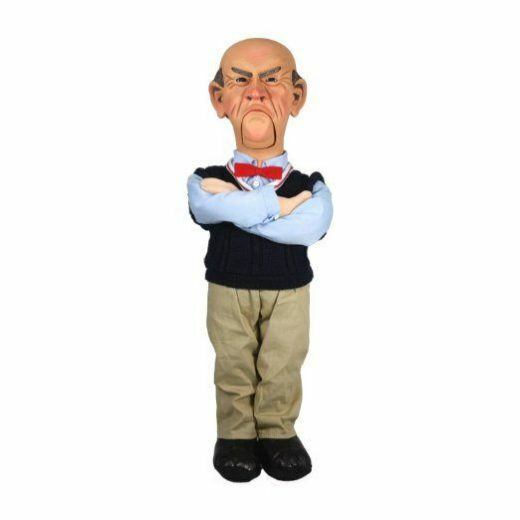 As the audience will generally expect this kind of jokes from someone performing with the Charlie McCarthy doll, you will be able to getaway with a wider variety of jokes, developing your style along the way. MOVING EYES & HEAD PLUS MOVING BROWS! 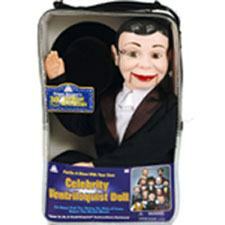 Charlie McCarthy doll is often considered a good choice for beginners. The character is well recognized by about everyone, including those who are not too familiar with ventriloquism. 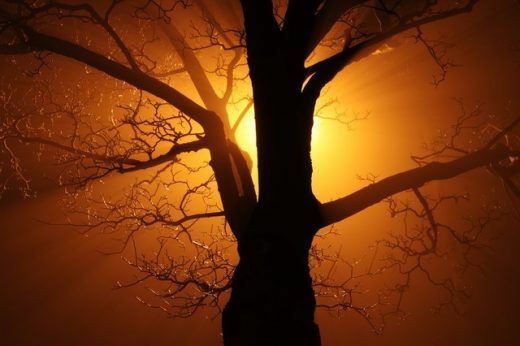 Positive associations will set the right mood before you even start performing, making life a tad easier. 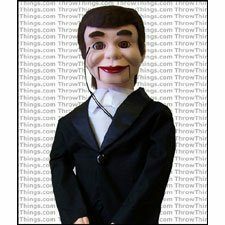 Of course, experienced ventriloquist comedians should definitely add at least one version of the Charlie McCarthy puppet to their collection too. Some audiences specifically request this character – and if you own a Charlie McCarthy doll, fulfilling such requests is a breeze. Feel free to contact us if you have any further questions or inquiries. 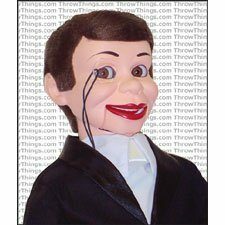 Rest assured that finding a Charlie McCarthy doll for sale is one of the best investments for a ventriloquist. Click here for more Charlie McCarthy Doll variations - Shop on eBay! Why do we love scary ventriloquist dummies so much? Learn everything about ventriloquism and more! Affiliate Disclosure: I am grateful to be of service and bring you content free of charge. In order to do this, please note that when you click links and purchase items, in most (not all) cases I will receive a referral commission. Your support in purchasing through these links enables me to keep my website expenses ridiculously low and empower more people worldwide to become a ventriloquist with less worry and less hassle. Thank you! ♡ Puppet-Master.com is a participant in the Amazon Services LLC Associates Program, an affiliate advertising program designed to provide a means for sites to earn advertising fees by advertising and linking to (“http://Puppet-Master.com” (amazon.com, or endless.com, MYHABIT.com, SmallParts.com, or AmazonWireless.com).